The Pipe and Tube Straightening Machine is a driven cross roll series tube straightening machine, designed to handle tubes of outer dial from 6 mm. to 170 mm. 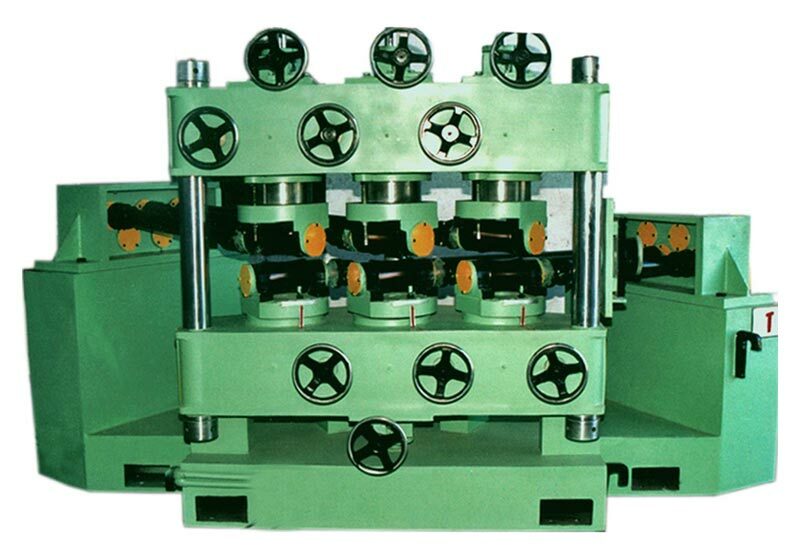 The Pipe and Tube Straightening Machine is available in different models as per the requirements of the clients. The Pipe and Tube Straightening Machine is designed on well proven rotary pressure and deflection principle of straightening, which gives very high degree of straightness less then 1.0 mm. /meter. All the rolls of Pipe and Tube Straightening Machine are made of high alloy steel and suitably thermal treated, mounted in pairs and all are driven machine range available are 6mm â�� 170mm Od, 0.5mm-25.0 mm thick, 3m-15m tube length.